“How many seats are there for IES 2019 ? 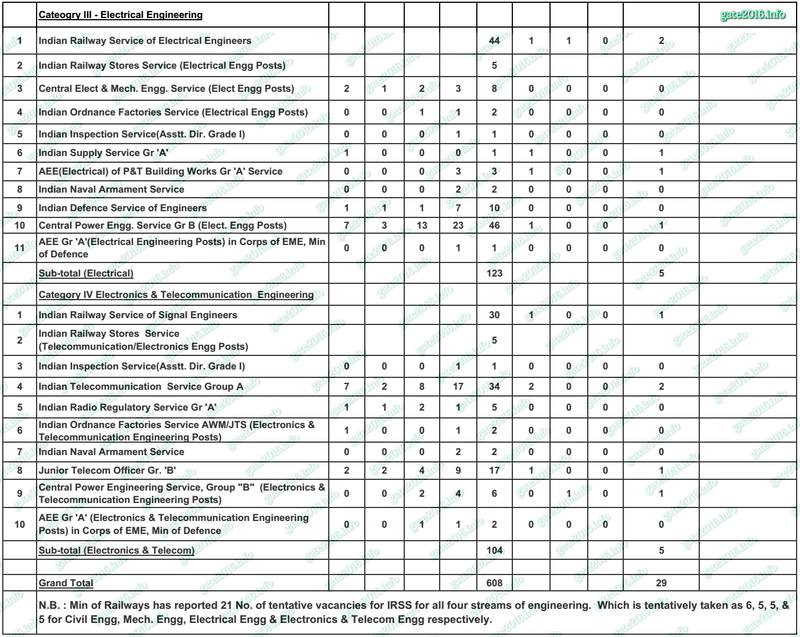 How many vacancies are there for Electronics & Telecommunication Engineering in IES 2019 ? 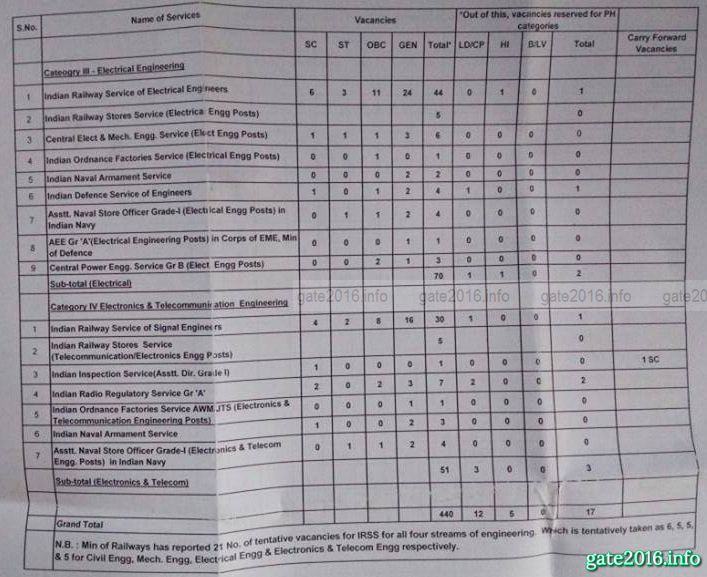 IES Vacancy 2019 / ESE Vacancy 2019 – Indian Engineering Services is one of the popular career option for the engineering graduates in India. An all India level competitive examination, called Engineering Services Examination (ESE/IES) is conducted every year by the Union Public Service Commission (UPSC) for the recruitment of Indian Engineering Servants. This examination constitutes a written examination (five tests) and followed by an interview. ESE/IES is considered as one of the toughest examination in India due to the difficulty related to the examination and the selection procedure. 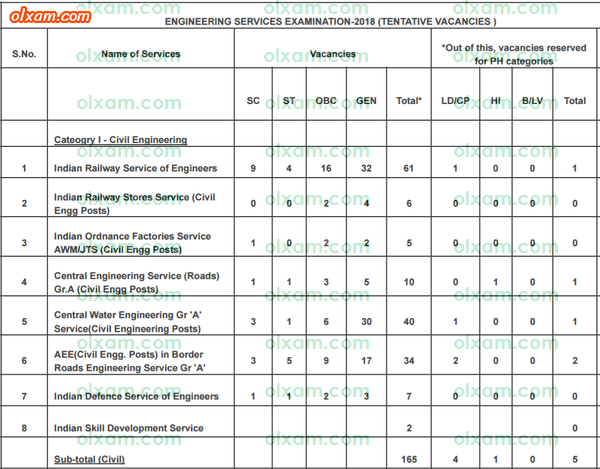 Here in the below table we have provided previous years vacancy details of UPSC IES/ESE. All the vacancy details provided here are collected either by RTI or official document released by UPSC. 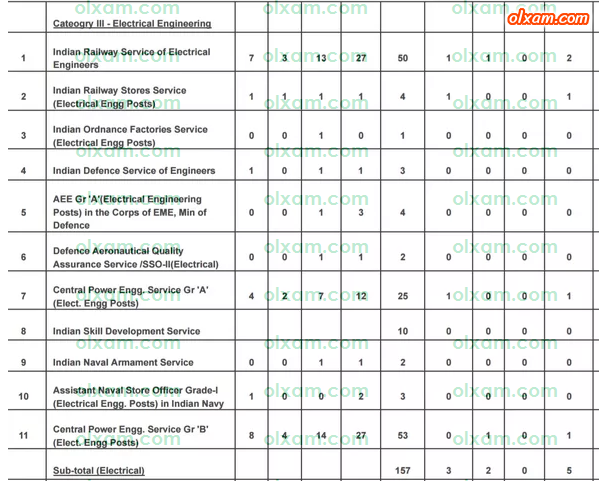 There vacancy details may help you to analyse and understand the competition level of UPSC IES/ESE. 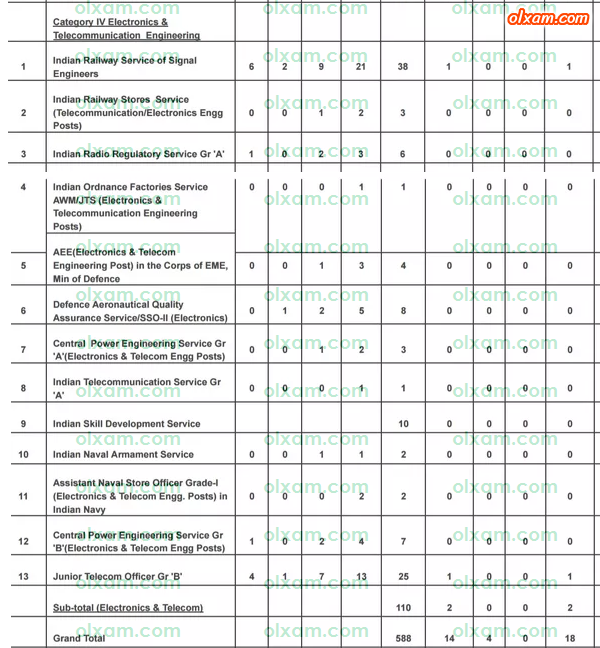 Candidate just need to compare these vacancy details with related years cut off marks of each branch. 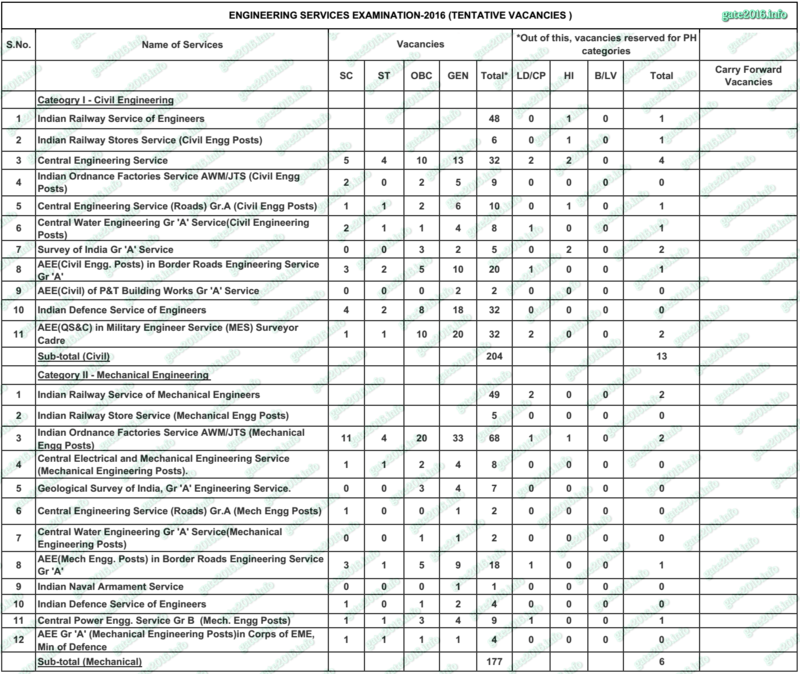 # Note : IES/ESE 2019 total vacancies are 581 including 34 PH(LDCP‐23 & HI‐11) vacancies. 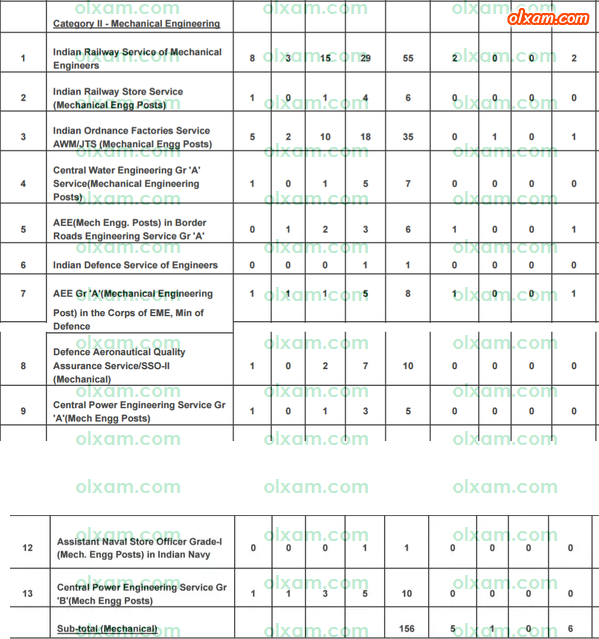 UPSC IES/ESE 2020 total vacancies will be update as soon as latest notification will release. As per our analysis ESE/IES 2020 expected/tentative vacancy would be nearly 600. Year wise, branch wise as well as department wise vacancy breakup is given below. 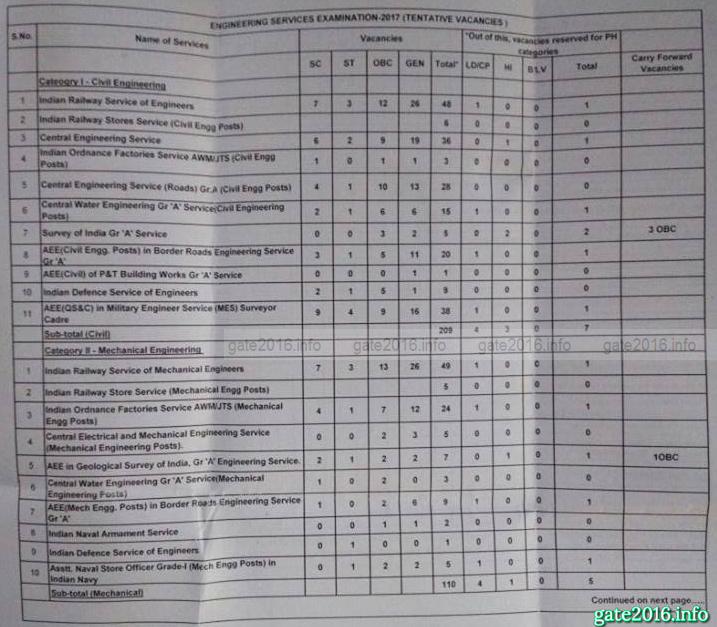 UPSC conduct IES/ESE only for four branches of engineering Civil Engineering, Electrical Engineering, Mechanical Engineering & Electronics & Communication Engineering.